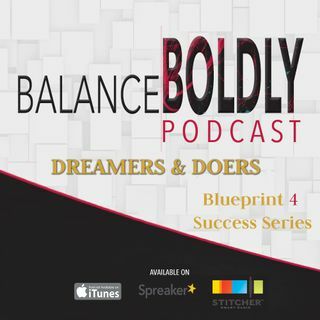 Welcome to part three of the Dreamers and Doers Compilation Series! This compilation of narratives and interview nuggets we’ve had in the past serves to inspire, encourage, and fire you up to take your dreams to the next level and your actions to success. Today, we’re going to hear what makes niching scary, why it is critical to determine the niche in your business, and the significance of asking yourself the tough questions for you to succeed. We’ll learn about what prevents many bold women ... See More from taking a step forward. We’ll also recall the benefits of taking some “me time” as well as the formula of “balance” and how you can apply it to yourself so you can attain balance in your life, relationships, and business.